← Troglodytes are moving in! 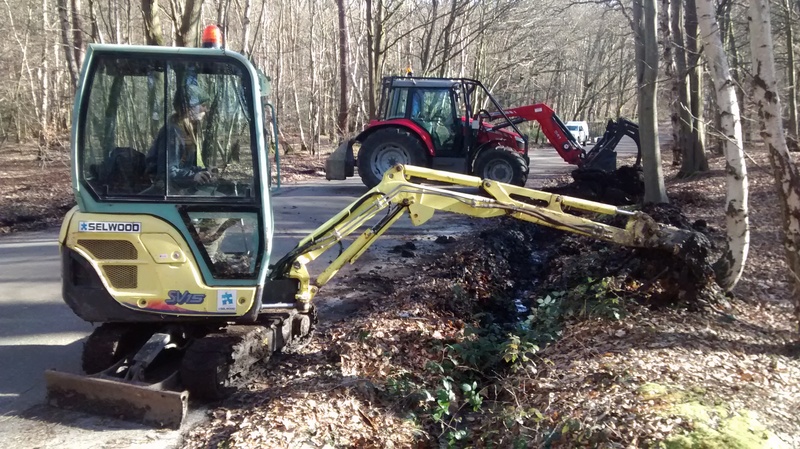 Our rangers have been hard at work at Rushmoor Bottom, in Wellesley Woodlands manoeuvring a digger and our large tractor. We’ve had problems with unauthorised 4WDs entering our lovely beech woodland, causing a disturbance and damage. So by the new gate we installed on Rushmoor Road, we’ve been creating a vehicle barrier to dissuade access. Our digger-trained rangers extended the existing ditch, and where there were underground utilities, we instead created a bund from logs and earth. Of course the substantial logs needed to be collected from the woodland, so cue some careful driving between the trees with a banks-person keeping look out. It was a fun few days working with lots of the ranger team out to help. We’ll be monitoring the situation going forwards, but early indications are that it is working well to reduce the problem. So a great success for Wellesley Woodlands. 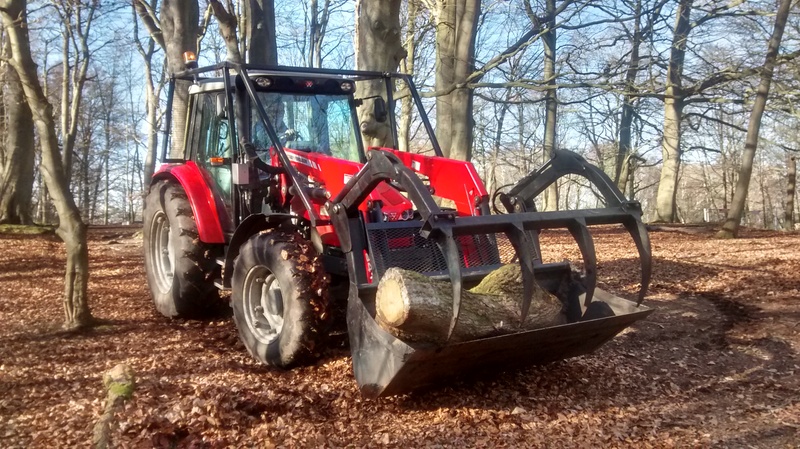 This entry was posted in Conservation, Wellesley Woodlands and tagged Digger, Machine, tractor, Wellesley Woodlands. Bookmark the permalink.